It was a beautiful fall day, perfect for going for a hike. So my friend Rebecca and I, and my dog Murray, stopped by a local animal shelter to pick up a dog to join us. I’d heard about — and desperately wanted to try — programs that let visitors take shelter dogs out hiking, in Hawaii, Utah and Colorado. 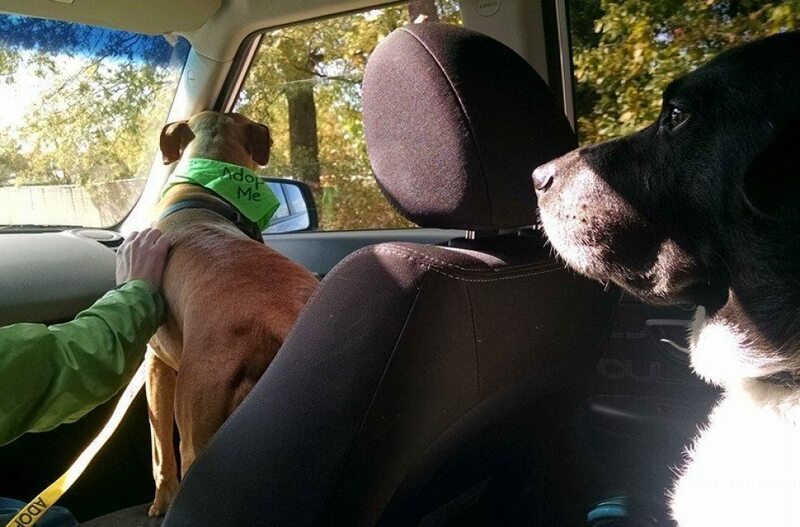 Not being on a vacation at the moment, alas, I was excited to learn that the greater D.C. area has an increasing number of shelters and rescue groups that will lend out their dogs for day trips. 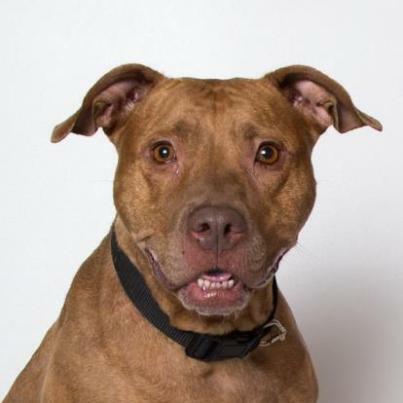 The Animal Welfare League of Arlington, in Northern Virginia, is establishing this sort of program; Montgomery County Animal Services and Adoption Center in Maryland launched their version in September. Rebecca and I got Marla the pit bull from the Fairfax County Animal Shelter, which has made dogs available to anyone who’s been through one of the Virginia group’s foster training sessions since this past April. This is Marla. She’s up for adoption through the Fairfax County Animal Shelter. Marla — who is about 2 1/2 years-old, and was found as a stray around a month ago — was already suited up in a bandana and leash both reading “adopt me” when we got to the shelter, since part of the point of these outings is to introduce adoptable dogs to potential new owners. Other benefits: Doggie time for people who love pets but can’t have one of their own, while the dogs get some exercise and socialization and love. 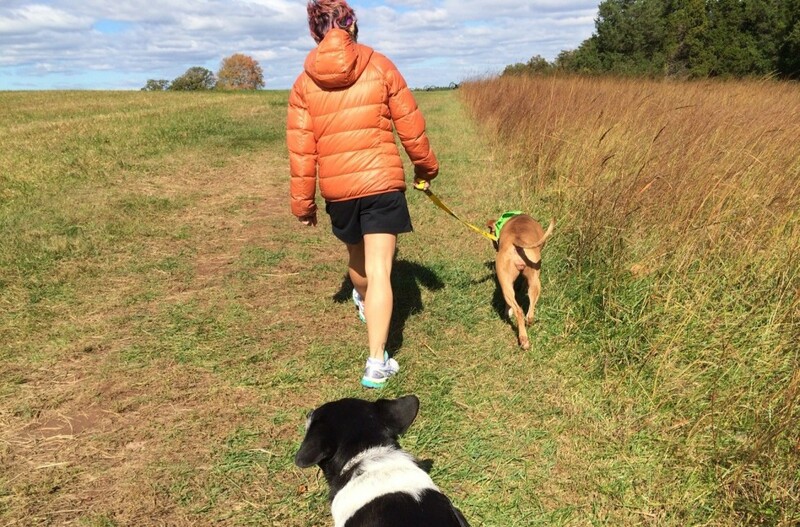 Folks at the shelter had all kinds of good suggestions for where we might go — for hikes and for leisure — and soon were off driving to the nearby Manassas Battlefield. Marla spent most of the drive licking my face — another point of the program is to see how the dog behaves in various situations. Marla behaves delightfully, we discovered — as my own dog Murray, who I was already aware behaves more jealously, glowered from the back seat. Manassas is where the Union army experienced a great defeat, and where Murray, perhaps wanting to really immerse himself in history, chose to roll in something extremely stinky. Russet-colored Marla, who blends in so well with the seasonal foliage, just trotted along being a very, very good dog, on our four-mile hike. The sun was out. The dogs were happy, especially when we sat down for our picnic lunch and I gave them a little of my egg salad to nosh on. But neither of us could be that family. Rebecca isn’t living somewhere she can have a dog at the moment. I already have two cats and Murray in a small apartment, and my patient but realistic husband worries we will one day end up in the news for all the wrong reasons if I bring home any more animals. Telling me about a dog named Egypt, Shari Kalina, the adoption coordinator for theMontgomery County shelter, said not to feel guilty at the end of an outing. Murray seemed not to mind too much when the hike was over — he prefers napping to walking, even when he’s not competing for a limited supply of egg salad — but Rebecca and I were still feeling very sorry to let Marla go. She also promised that every single one of the 100 or so dogs who have been taken out like this since the shelter started allowing it has found a home. 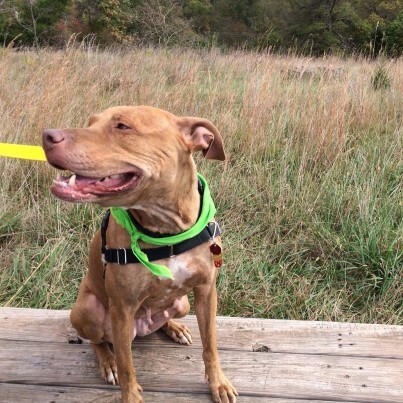 Let’s keep up that streak: Here’s Marla’s adoption listing. Take a look — and maybe head over to Fairfax and take her out. If Marla’s not available, there’s plenty of others who’d love to spend the day out of the shelter, palling around with you.